He is an artifact of a failed war policy and his departure was a long time coming. The New York Times, its journalists in mourning over the loss of a war, ask, “Who will protect America now?” Mattis the warrior-monk is juxtaposed with the flippant commander-in-Cheeto. “A major blunder,” tweeted Senator Marco Rubio. “If it isn’t reversed it will haunt…America for years to come.” Senator Lindsey Graham called for congressional hearings. And what is history if not irony? Rubio talks of haunting foreign policy decisions in Syria seemingly without knowledge of previous calamities in Iraq. Graham wants to hold hearings on quitting a war Congress never held hearings on authorizing. That’s all wrong. 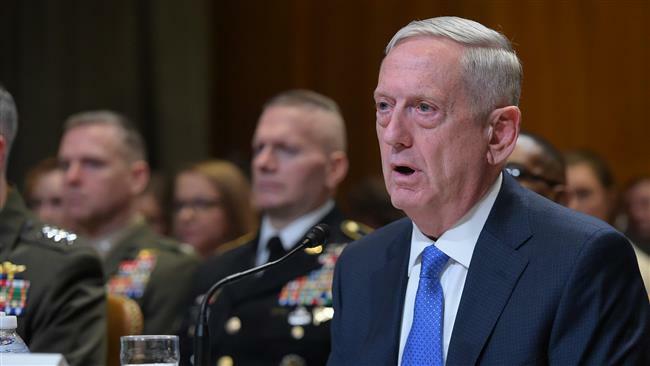 Jim Mattis’s resignation as defense secretary (and on Sunday, Brett McGurk, as special envoy to the coalition fighting ISIS) and Trump’s decision to withdraw from Syria and Afghanistan are indeed significant. But that’s because they mark the beginning of the end of the Global War on Terror (GWOT), the singular, tragic, bloody driver of American foreign policy for almost two decades. To defeat the Islamic State? ISIS’s ability to hold ground and project power outside its immediate backyard was destroyed somewhere back in 2016 by an unholy coalition of American, Iranian, Russian, Syrian, Turkish, and Israeli forces in Iraq and Syria. Sure, there are terrorists who continue to set off bombs in ISIS’s name, but they are not controlled or directed out of Syria. They are most likely legal residents of the Western countries they attack, radicalized online or in local mosques. They are motivated by a philosophy, which cannot be destroyed on the ground in Syria. This is the fundamental failure of the GWOT: that you can’t blow up an idea. Regime change? It was never a practical idea. As in Iraq, Libya, and Afghanistan, there was never a plan for what to do next, for how to keep Syria from descending into complete chaos the day Assad was removed. And though progressives embraced the idea of getting rid of another “evil dictator” when it came through the mouthpiece of Obama’s own freedom fighter Samantha Power, the same idea today has little drive behind it. Russia? Overwrought fear of Moscow was once a sign of unhealthy paranoia satirized on The Twilight Zone. Today, Russia hate is seen as a prerequisite to patriotism, though it still makes no more sense. The Russians have long had a practical relationship with Syria, having maintained a naval base at Tartus since 1971, which they will continue to do. The Kurds? The U.S.-Kurd story is one of expediency over morality. We’ve used them only because, at every sad turn, there’s been no force otherwise available in bulk. The Kurds have been abandoned many times by America: in 1991 when it refused to assist them in breaking away from Saddam Hussein following Gulf War I, when it insisted they remain part of a “united Iraq” following Gulf War II, and most definitively in 2017 following Gulf War III when the U.S. did not support their independence referendum, relegating them to Baghdad’s forever half-loved stepchild. After all that, America’s intentions toward the Kurds in Syria are barely a sideshow-scale event. The Kurds want to cleave off territory from Turkey and Syria, something neither nation will permit and something the U.S. quietly understands would destabilize the region. Iran? Does the U.S. really have troops in Syria to brush back Iranian influence? As with “all of the above,” that genie got out of the bottle years ago. Iranian power in the greater Middle East has grown dramatically since 2003, and has been driven at every step by the blunders of the United States. If the most powerful army in the world couldn’t stop the Iranians from essentially winning Gulf Wars II and III, how can 2,000 troops in Syria hope to accomplish much? The United States, of course, wasn’t even shooting at the Iranians in Syria; in most cases it was working either with them or tacitly alongside them towards the goal of killing off ISIS. Tehran’s role as Assad’s protector was set as America rumbled about regime change. Iran has since pieced together a land corridor to the Mediterranean through Iraq and Syria, which it will not be giving up, certainly not because of the presence of a few thousand Americans. What remains is that once-neocon, now progressive catch-all: we need to stay in Syria to preserve American credibility. While pundits can still get away with this line, the rest of the globe already knows the empire has no clothes. Since 2001, the United States has spent some $6 trillion on its wars, and killed multiple 9/11s worth of American troops and foreign civilians. The U.S. has tortured, still maintains its gulag at Guantanamo, and, worst of all credibility-wise, has lost on every front. Afghanistan after 17 years of war festers. Nothing was accomplished with Iraq. Libya is a failed state. Syria is the source of a refugee crisis whose long-term effects on Europe are still being played out. We are the “indispensable nation” only in our own minds. A lot of people around the world probably wish America would just stop messing with their countries. America’s presence in Syria, like Jim Mattis himself, is an artifact of another era, the failed GWOT. As a Marine, Mattis served in ground combat leadership roles in Gulf Wars I and II, and also in Afghanistan. He ran United States Central Command from 2010 to 2013, the final years of The Surge in Iraq and American withdrawal afterwards. There is no doubt why he supported the American military presence in Syria, and why he resigned to protest Trump’s decision to end it: Mattis knew nothing else. His entire career was built around the strategy of the GWOT, the core of which was to never question GWOT strategy. Mattis didn’t need a reason to stay in Syria; being in Syria was the reason. So why didn’t Trump listen to his generals? Maybe because the bulk of their advice has been dead wrong for 17 years? Instead, Trump plans a dramatic drawdown of troops in Afghanistan. The U.S. presence in Iraq has dwindled from combat to advise and assist. Congress seems poised to end U.S. involvement in Yemen against Mattis’s advice. There is no pleasure in watching Jim Mattis end his decades of service with a bureaucratic dirty stick shoved at him as a parting gift. But to see this all as another Trump versus the world blunder is very wrong. The war on terror failed. It should have been dismantled long ago. Barack Obama could have done it, but instead became a victim of hubris and bureaucratic capture, and allowed it to expand. His supporters give him credit for not escalating the war in Syria, but leave out the part about how he also left the pot to simmer on the stove instead of removing it altogether. The raw drive to insta-hate everything Trump does is misleading otherwise thoughtful people. So let’s try a new lens: during the campaign Trump outspokenly denounced the waste of America’s wars. Pro-Trump sentiment in rural areas was driven by people who agreed with his critique, by people who’d served in these wars, whose sons and daughters had served, or, given the length of all this, both. Since taking office, the president has pulled U.S. troops back from pointless conflicts in Syria, Afghanistan, and Iraq. Congress may yet rise to do the same for American involvement in Yemen. No new wars have been started. Though the results are far from certain, for the first time in nearly 20 years, negotiations are open again with North Korea. Mattis’s ending was clumsy, but it was a long time coming. It is time for some old ideas to move on.